Hopefully not for forever though. 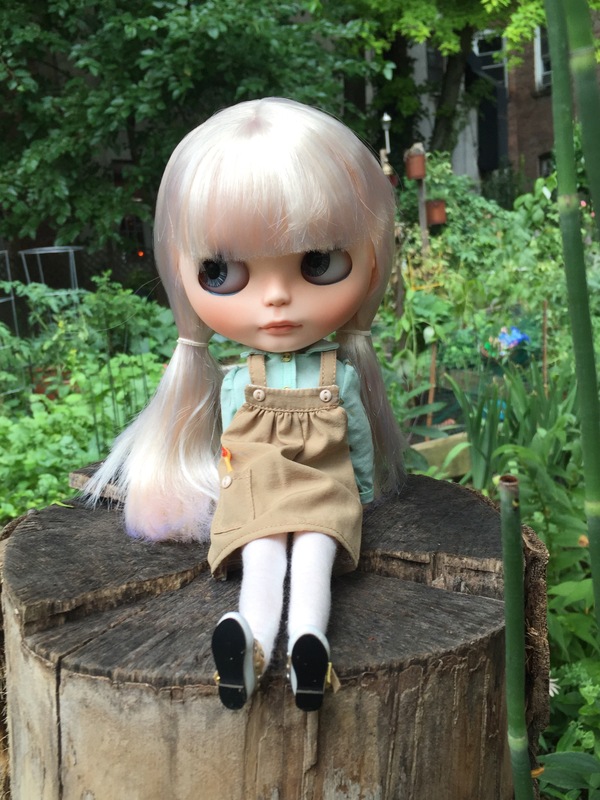 I plan on attending Blythecon 2017, which will be held in Brooklyn. But also, I do plan on visiting NYC once in a while, so it isn’t like I’m saying “goodbye forever” to the NYC community. It was really nice being able to see everyone one more time before I head out westward. I learned a few things from today’s meet. I want a Skinny Scalp. 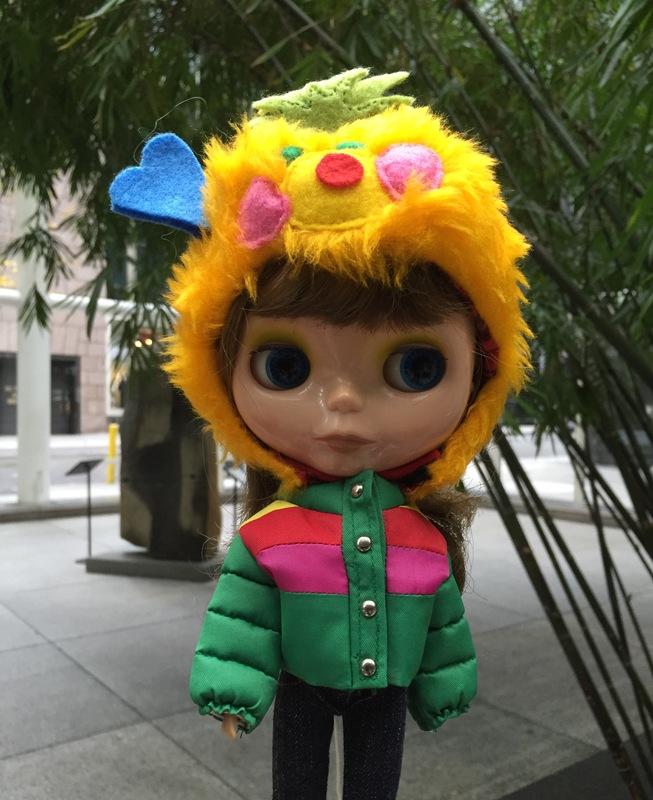 See below said scalp modeled on Moppet (Moppet belongs to Heidi of Ricky and Friends). It is super soft! 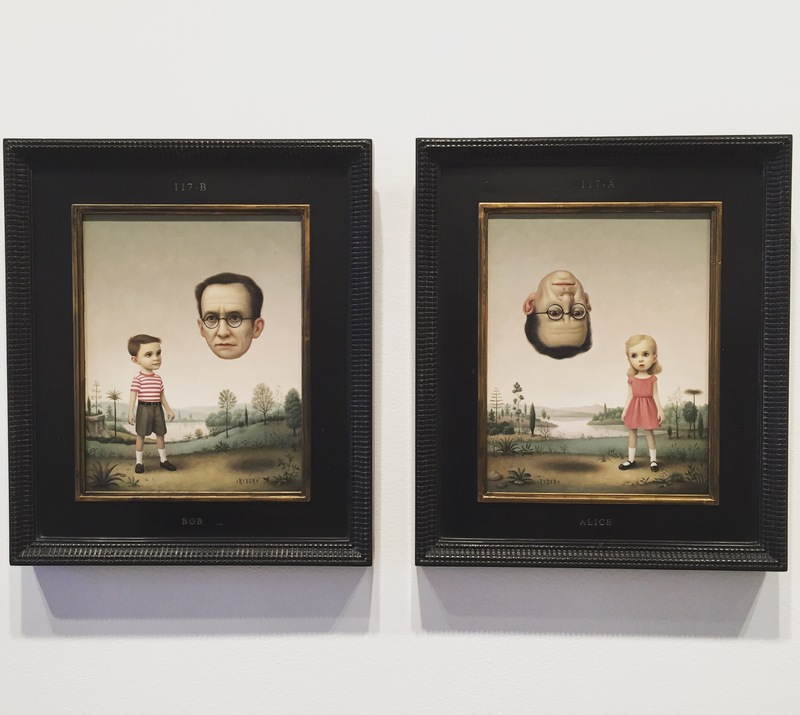 And it makes me happy to know that the scalps are humanely sourced. 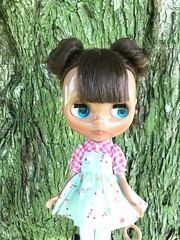 Jerry Berry dolls have big heads! Below doll belongs to Julie of Knitting with Dolls. Gardens and parks really are the nicest places to hold meets. There’s so much scenery to photograph the doll in front of, and there’s more space to spread out, especially if the meet-up group is big. The downside is the mosquitoes (:( I left with five bites). I had fun and also I’m feeling pooped out. The past week has been kind of hectic, and I’m still not packed. 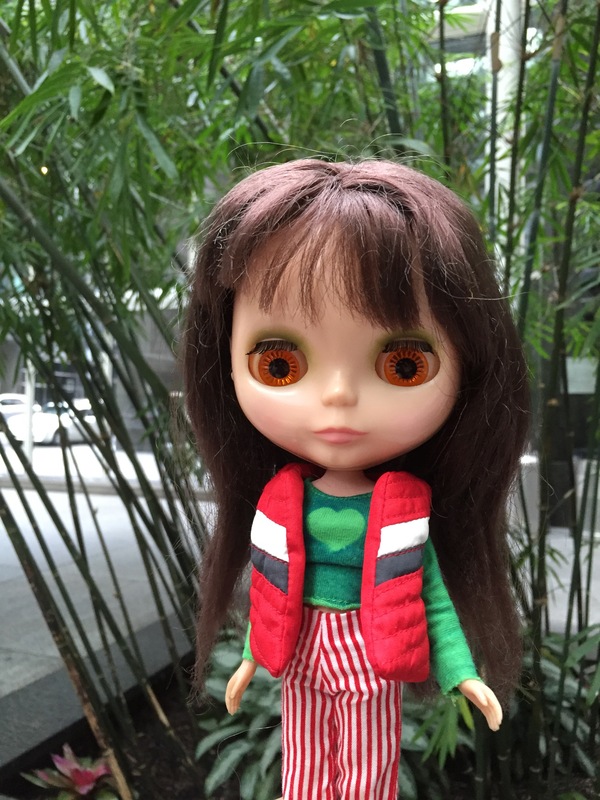 😥 I also haven’t even had time to redress my dolls, so I ended up taking Finley out with me today. Busy, busy weekend! Today especially! 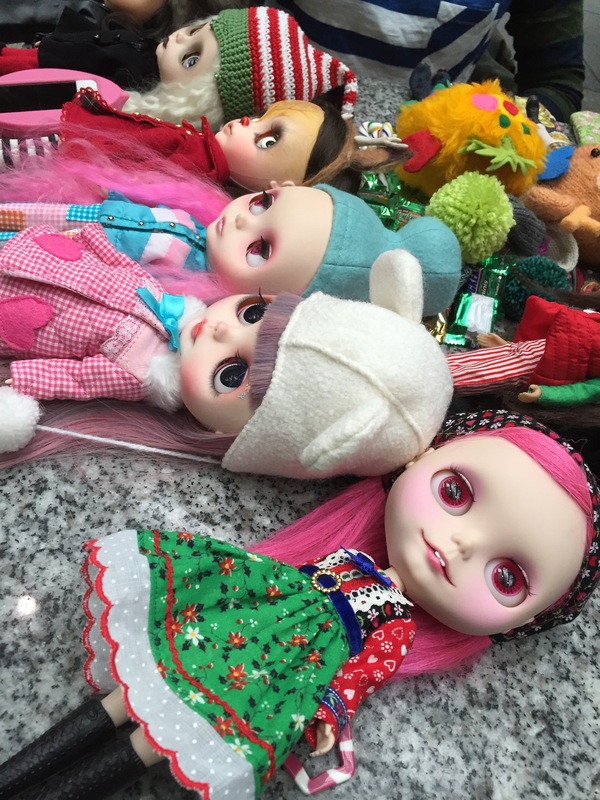 I went to a Blythe meet today, and the turnout was big! We had it at a park in the city, and I was so glad that the weather was nice today (not too hot, cool breeze, slightly cloudy, NO RAIN!). 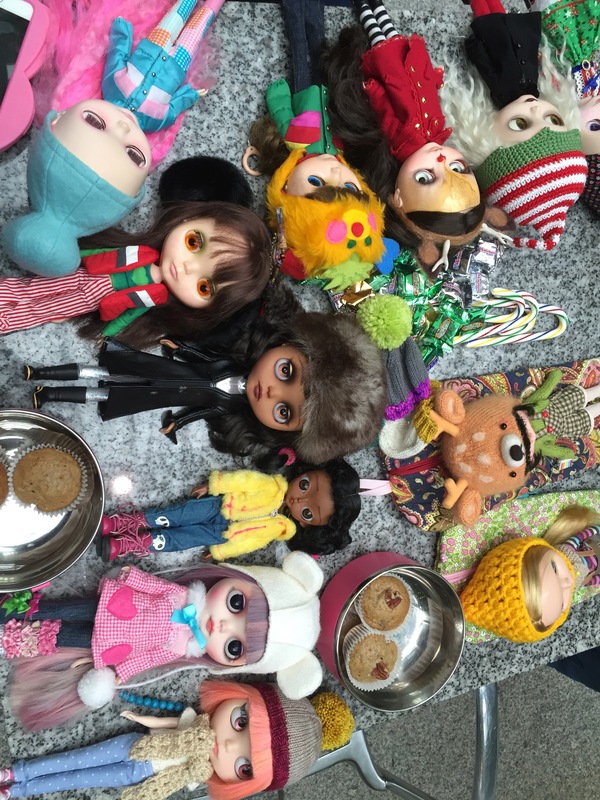 It was a great meet – there were tons of dolls, new faces, and snacks! 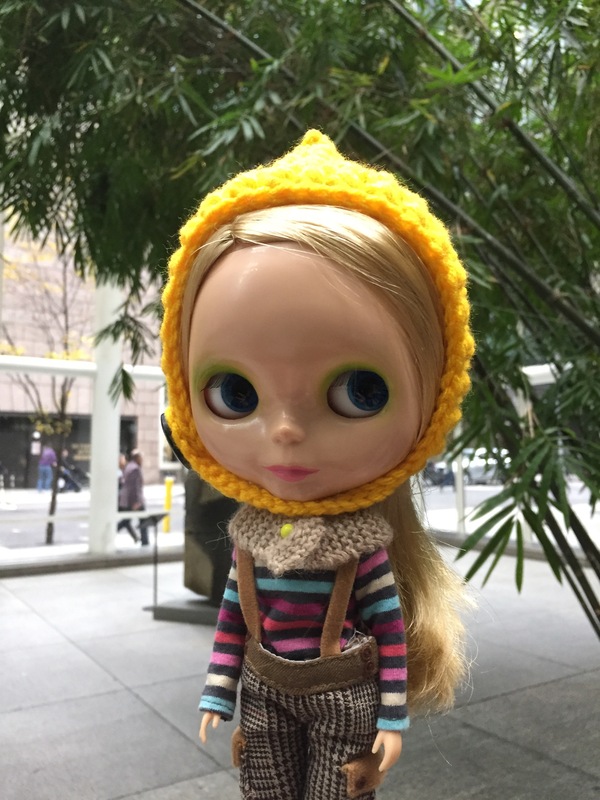 Also, there were quite a few non-blythe dolls there, including my Repro Licca chan, a Wataru, 3 Susie Sad eyes, and one yarnhead doll (named Jean Paul). 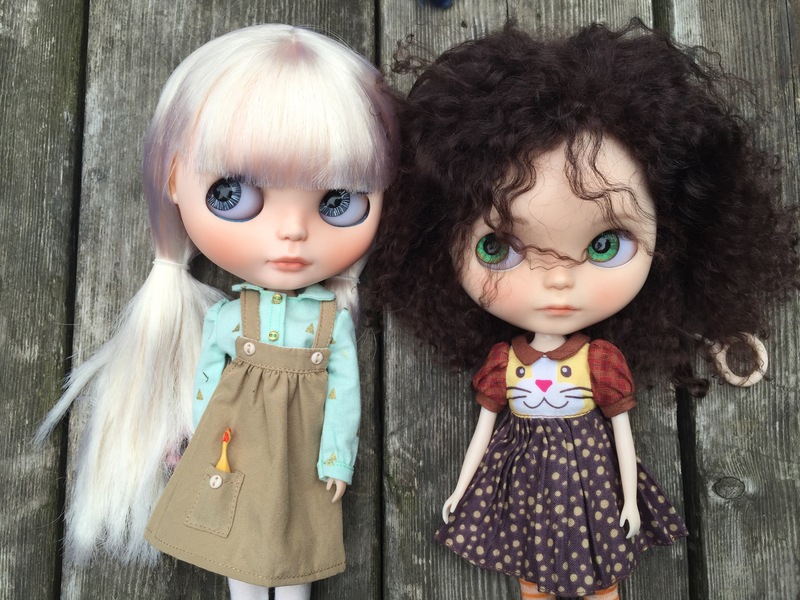 I brought two girls out today – Marina and my Repro Licca chan, who I decided to name Remington (Remi). >_< I didn’t have time to redress Marina before the meet, but I did pop Remi into one of my new Sleepforever dresses! Here is my newest girl! She looks like she might be a customized Simply Vanilla. 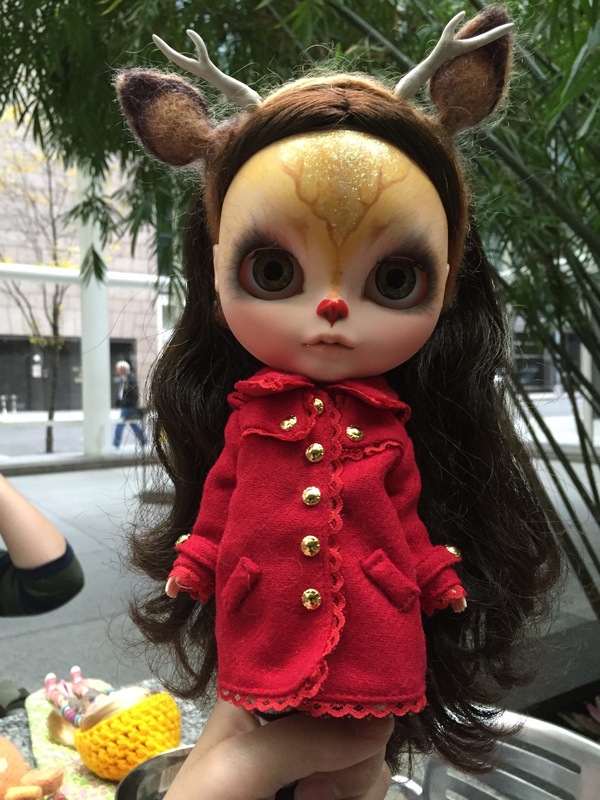 After some sleuthing by a fellow blythe enthusiast, she deducted that this girl was customized by Sugar Luna. I put the doll in my other Sleepforever purchase (matching dresses with Remi), a pair of white tights, and some black maryjanes. She has a slightly ghosty look about her… I think it’s because her coloring is quite pale. 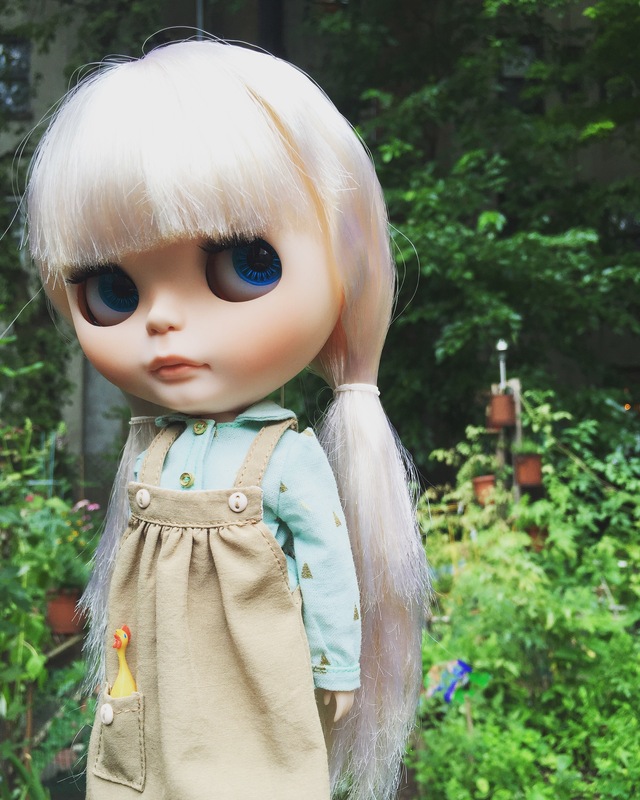 She has the cutest freckles, stormy grey painted lids, and a slightly dark mauve lip. As soon as I got her home, I changed her pull strings (they are now a light puple), gave her pull charms, and cleaned up some scuffs on her face. I think I might name her Hadley or Hyacinth. I’m still thinking though! Finally, a girl I can dress in black and muted neutral colors! She looks like Finley’s more emo/reserved twin sister. Kind of like how Reese and Marina look like sisters. Elowyn is really the odd duck out, with her translucent face and dark brown hair. I’m feeling quite happy with my doll family to date. 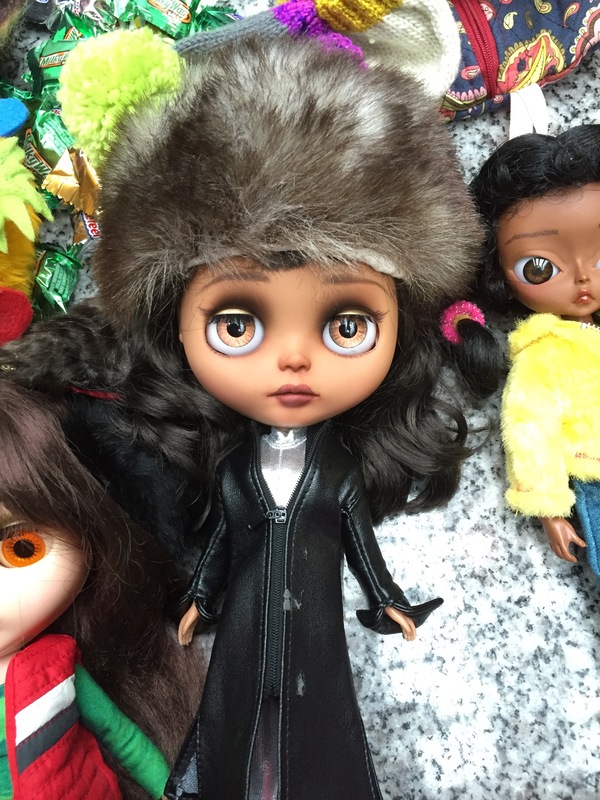 I love that three of them have huge sentimental value to me, one was my very first blythe and the very first girl I’ve had customized for me, and one has the same birthday as me (birthday, release day, potato, potahto). Life is a funny thing. 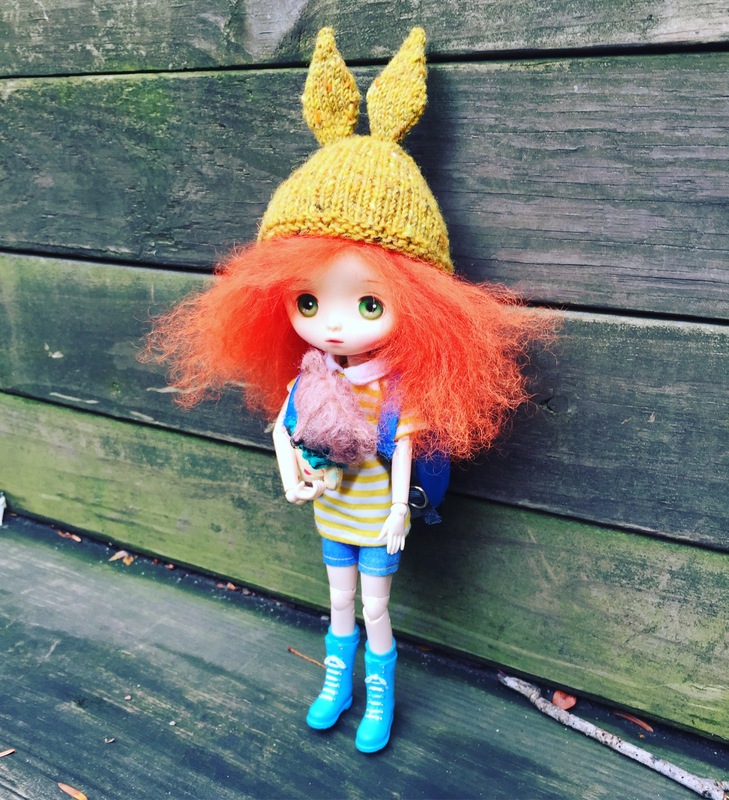 If you had told me 10 years ago that I would l0ve dolls, I would have called said “no way.” By far, the blythe hobby has been my most social hobby, and one that has changed my life for the better. Tons o’ fun, and quite the turn-out for today’s Blythe Meet. I was stoked to have been able to see a K07doll custom in person (the blue haired custom on the upper right), and I can confirm that the doll is amazingly cute in person as it is in photos ^^. EXHAUSTED! And feeling quite talked out, since I don’t normally do much socializing. I’m really happy that there’s a somewhat active Blythe community in my area. 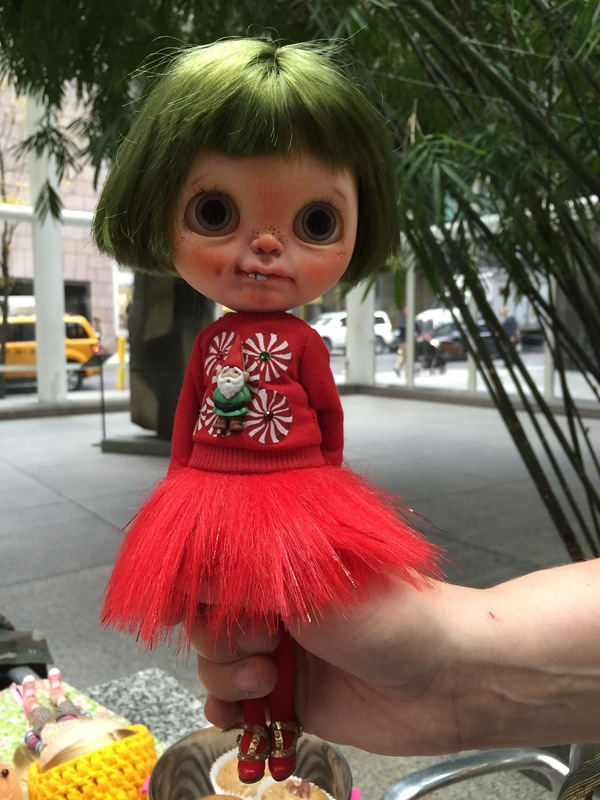 The meets are a fun gathering of like-minded people, who just genuinely love Blythes/dolls. It also gives me the opportunity to meet new people in the community, and in some cases, put a face to a username, or owners to the doll. 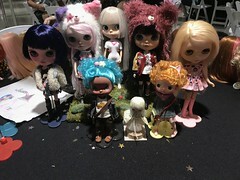 Today’s Blythe meet was a lot of fun ^^. The turnout was pretty good for both the people and the dolls. I brought out Reese and Finley today in their best Valentine’s Day duds. From left to right: The entire doll spread, and two Tiina customs. From left to right: A Stable House custom, a Tole Tole Custom, and two Happibug Customs. I really enjoyed being able to see all of these pretty custom girls – I especially love custom girls with natural fiber reroots! I even got to see a Skinny Scalp on a girl. Alpaca and mohair are SO soft! I also heard the cute pips of two Kenners. 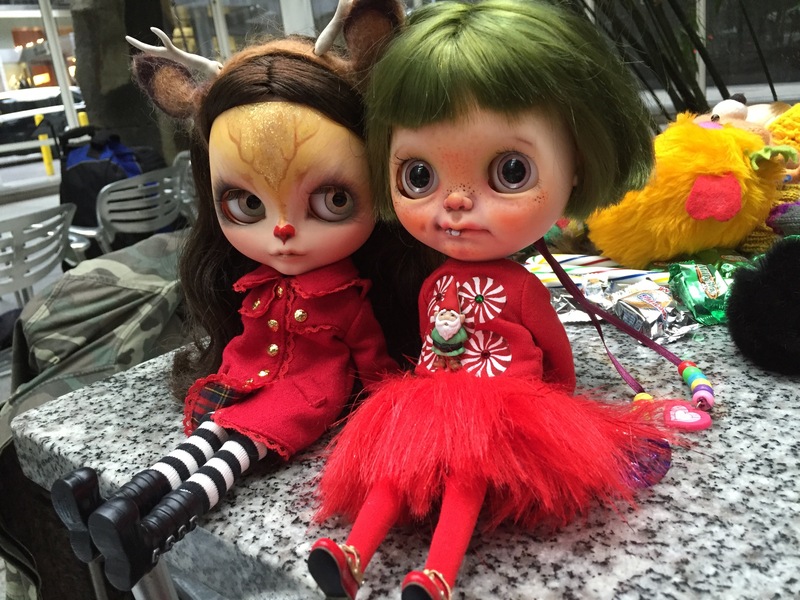 The Blythe meet was a great way to cap my week and a half long break from work (back to reality tomorrow 😦 ). I also really want to recommend the 3DS game I’ve been playing – Final Fantasy Explorers. I’ve been playing it since January 28th, and since then I’ve only been playing Story of Seasons on and off (though I did hit a big milestone recently – my character got married 😀 . Insert wedding below). Some things I really like about Final Fantasy Explorers is the player’s ability to mix things up by choosing between an array of jobs, skills, and summons. I also really like how much the game allows me to customize my character. The one thing I’m on the fence about is the fact that changing jobs doesn’t set the player back in power – there isn’t a need to level a job to gain skills. On one hand, this decreases the amount of time I would need to farm job level experience, but on the other hand I don’t feel the same sense of accomplishment or sense that the decisions I make in raising my character really matter. I’m also not sure if I’m taking too much time on subquests or leveling, but the story progression is quite slow. All in all, I’m quite happy with my game purchase ^^. It’s pretty nostalgic for me to play a final fantasy game and a JRPG, as it’s been a while. I don’t even like hack and slash type games (not a fan of the fighting in Kingdom Hearts), but I don’t mind it in this game! I’m a fan of turn-based fighting. UGH. Tomorrow is technically Tuesday, but in my head it will be a Monday at work. 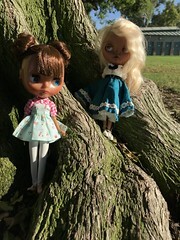 I attended a Blythe meet today! Prepare yourself for sooo many colors! And so many customs! I took Rory with me today. ^^ The hat was a gift from one of the attendees at the meet! 😀 I made those muffins! They’re banana muffins, and completely fool-proof. I’m actually relatively proud of them. 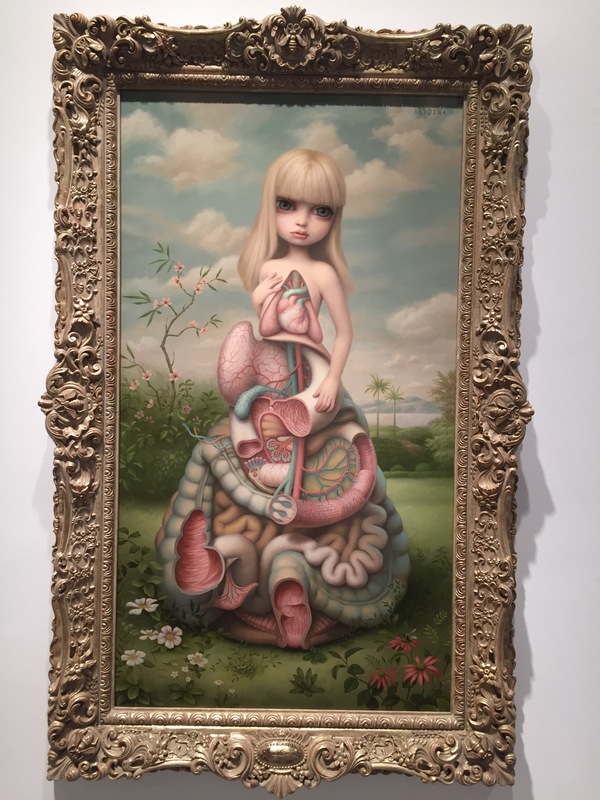 I think the girl above is a Mab Graves girl, but I may be wrong. I think the girl above is a Liquirizia custom. A Mondrian (BL)! So cute! I had a grab-bag of hats for all the attendees, as a little holiday gift ^^. The hat this girl is wearing was crocheted by me. 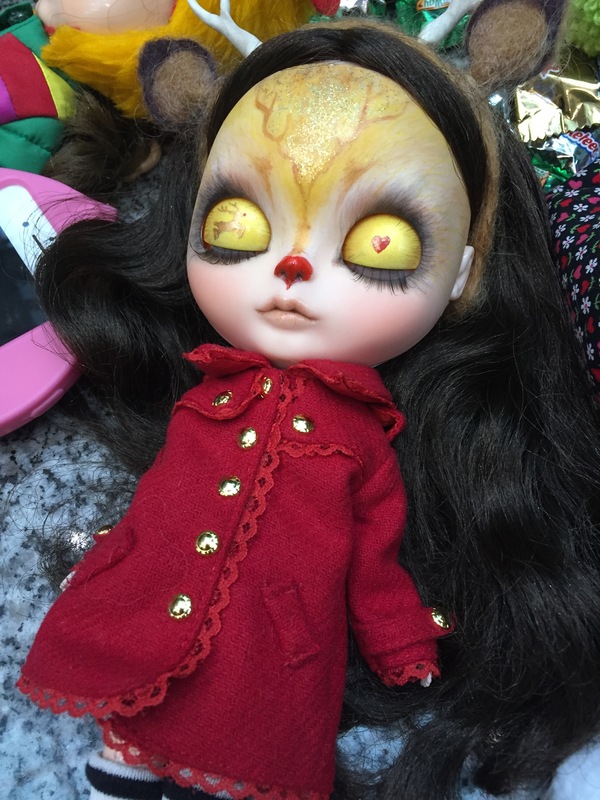 A Bad Rabbit custom girl. 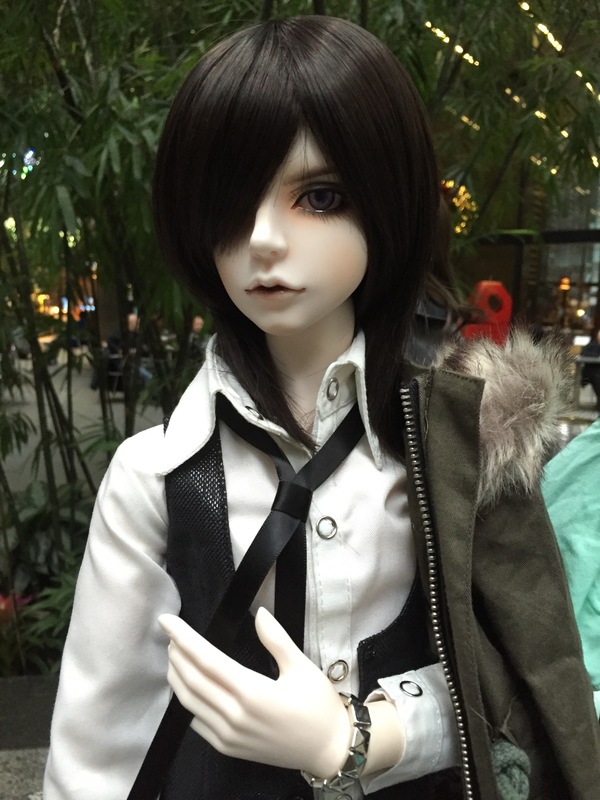 Something I found very funny and such a coincidence – there was a BJD meet also being hosted at the same public space we were in! The BJD group had a lot of members, and occupied three of the tables right next to ours.I couldn’t resist, and had to go over there to take some photos of their dolls. 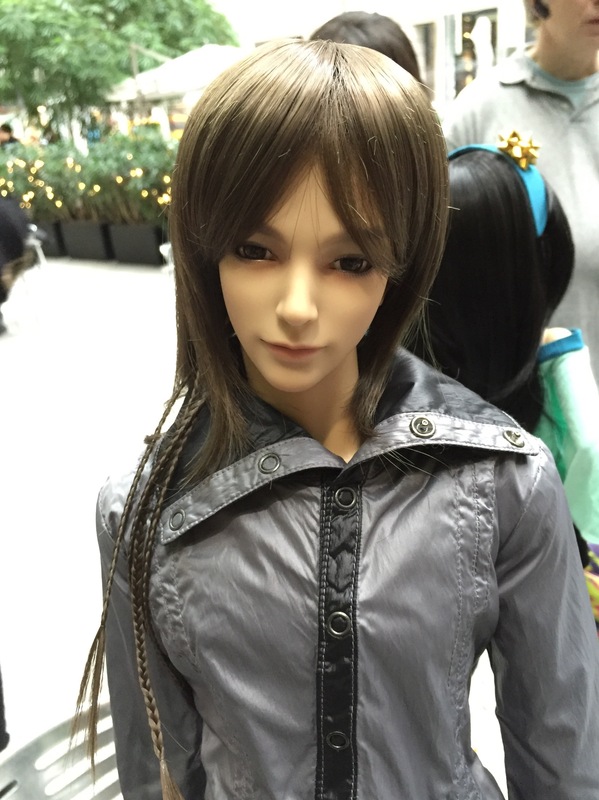 Some of the BJDs were huuuugeee. 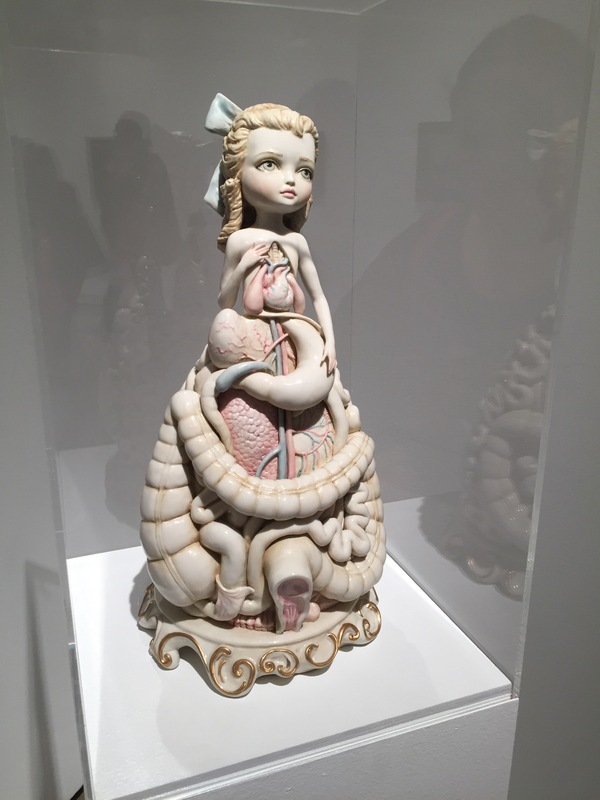 Anddd back to blythes – The girl below has a thermal reroot, and her hair turns blue when warmed up! 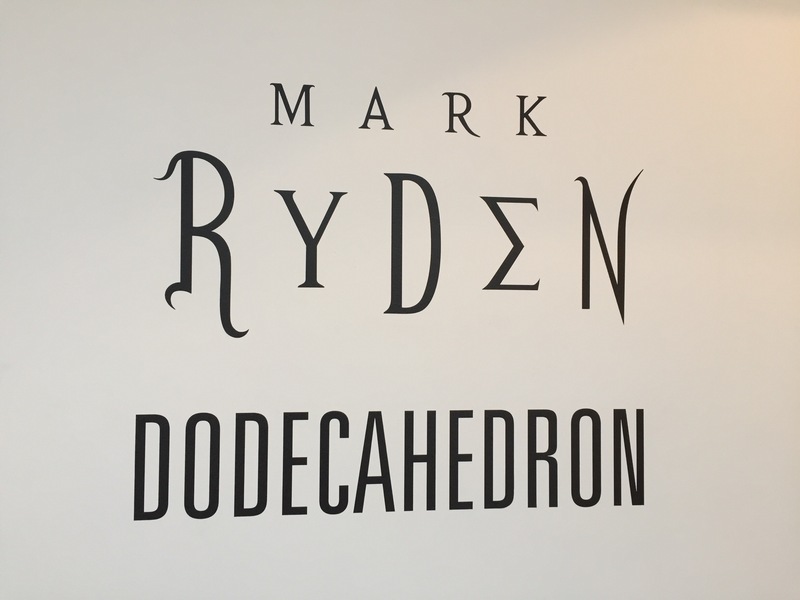 We also went to the Mark Ryden Dodecahedron exhibit at a nearby gallery. 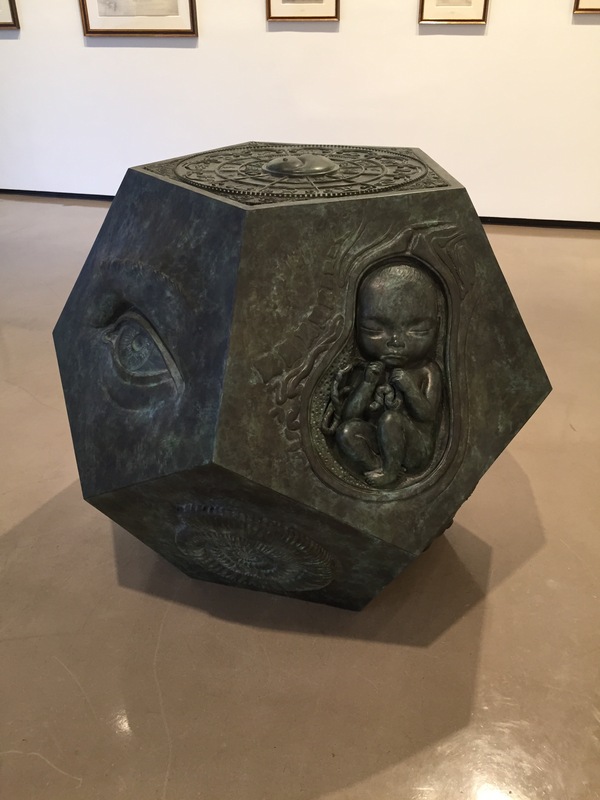 I don’t know much about art, but I really enjoyed the art gallery. 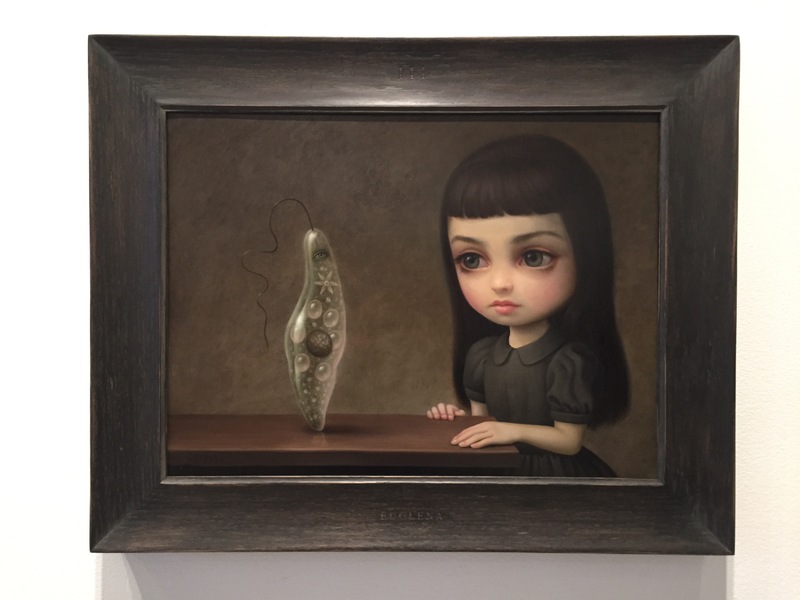 Mark Ryden’s pieces are visually stunning, and they all have this ethereal, but dark quality to them.